Smart Health Talk broadcasts. People and subjects that impact our lives. This USDA Scientist was told by the USDA he was going against USDA policy by telling other scientists and the press that even a small amount of pesticide in plants like milkweed, the only food of Monarch butterflies, was enough to kill them something uncovered during his research. He also discovered that ONE SEED coated with pesticide, a standard which is used on 14% of USA land is enough to kill one small pheasant. We are using millions of these seeds each year! Only 2% of the pesticide goes into the plants as they grow and the rest in soil and then in our water supply and why neonicotenoid pesticides show up in water samples all over the country. Dr. Jonathan Lundgren was suspended from his job as a USDA scientist for telling the truth about the toxicity of neionictonoid pesticides to other scientists. Click to read larger version. Dr. Lundgren is going to dedicate his life to helping farmers free themselves from the need for pesticides and GMOs by using regenerative farming practices and using the Blue Dasher Research Farm to find new techniques and bring farmers together for training and sharing knowledge and experience. Whistleblower group Public Employees for Environmental Responsibility (PEER) in Washington DC helps protect Dr. Jonathan Lundgren, USDA Scientist, punished with a job suspension for educating other scientists on the ability of neonicotonoid pesticides for being able to kill massive amounts of bees and butterflies because of extreme toxicity. USDA told Dr. Lundgren that he was going against USDA policy by telling this information to other scientists. What?! So the USDA doesn't want other scientists and farmers to know just how dangerous and toxic these pesticides are to bees? Why not? Because they are trying to protect the chemical companies that make them? This is who are government is working for not the people of this country or our farmers? Who is watching out for the bees and butterflies? Read this press release, go to the link to the PEER group website for more information and updates as this is an ongoing court battle too, and get to know Dr. Lundgren in our interview below and read the transcript. Also take a visit to Dr. Lungren's website and Indiegogo websites to see what he is going to dedicate his life to after this experience. It involves starting a research farm that will experiment and document with regenerative ways of farming that can help all farmers get back to their roots and relearn how we farmed without GMOs (genetically modified organisms which are seeds that have been genetically changed to create plants that will not die if sprayed with Roundup Herbicide), pesticides, herbicides, fungicides, and artificial fertilizers. Where animals can become part of the farm and support not only soil health, but help reverse climate change not add to it. Currently agriculture is adding massive amounts of carbon to the air and why we are currently at 400 ppm for the first time in MILLIONs of years! Instead farms can help reverse the damage that has been done with conventional farming methods that till the soil and depend on outside resources for fertility. Estimates are the planet could be out of phosphorus, a mineral that has to be mined and brought in and applied to farmland so crops will grow, in 10-20 years. Instead farms can use other ways to create fertility in soil by using cover crops and compost that utilizes animals in a positive way. Animals can go back to grazing in ways that also reverses climate change which is the opposite of the factory farms that have now condensed meat production in horrid and negative, antibiotic resistant bacteria forming environments that are creating situations where humans are also at risk of exposure to organisms that won't die with any drugs we now have available. 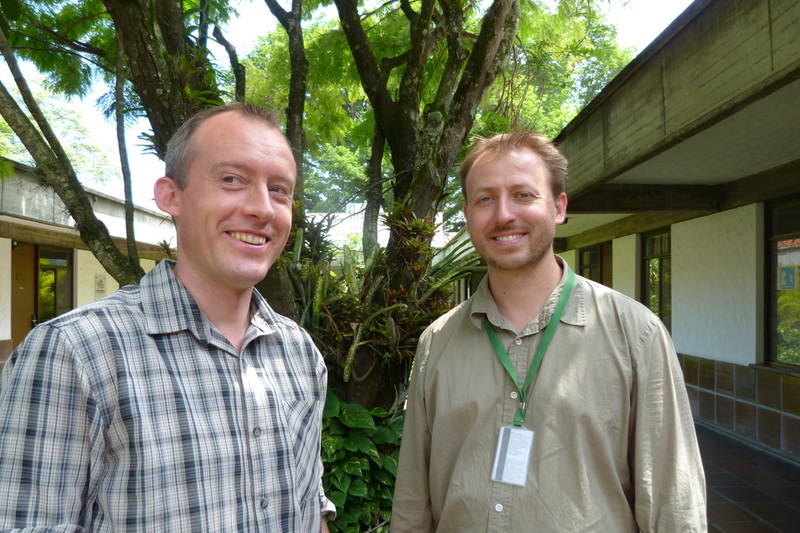 See our interview with Dr. Michael Hansen, Sr. Scientists on our homepage. This Washington DC Non Profit Organization is helping Dr. Jonathan Lundgren stand up to the USDA. The Public Employees for Environmental Responsibility protects employees that speak out about things happening in their work that are not right for them, others, innocents, or our country. Many whistleblowers are afraid to do it alone, or expose what is happening and lose their job. This group will even stand up for the employee in court if needed. We are lucky to have an organization like PEER to help. Here is a press release they put out for Dr. Lundgren. Scroll down for our interview with Dr. Lundgren to hear his story, watch videos about his new project to conduct research without government or corporate influence. Washington, DC — One of the top entomologists within the U.S. Department of Agriculture is fighting a suspension for publishing research about adverse effects on monarch butterflies from widely-used neonicotinoid insecticides (or “neonics”). He is also being punished for a travel paperwork irregularity for when he made an appearance before a panel of the National Academy of Sciences. His legal challenge is in the form of a whistleblower complaint filed on his behalf today by Public Employees for Environmental Responsibility (PEER). Dr. Jonathan Lundgren is a Senior Research Entomologist and Lab Supervisor for the USDA Agriculture Research Service based in South Dakota. His cutting-edge research has drawn national attention and international recognition. He has worked for USDA for eleven years with great success—until recently. An error in Dr. Lundgren’s travel authorization for his invited presentation to a panel of the National Academy of Sciences, as well as to a USDA stakeholder group. Lundgren’s suspension followed his lodging a formal complaint last fall of violations of the agency’s Scientific Integrity policies. His complaint detailed attempts by USDA managers to block publication of new research, bar discussion of results with the media, and disrupt his lab’s operations. The agency initially rejected his complaint as not meriting an investigation. His appeal of that decision is still pending. Dr. Lundgren’s whistleblower complaint triggers sworn depositions and other discovery leading up to an evidentiary hearing. The resulting ruling can be appealed to the three-member Merits Systems Protection Board and from there to the U.S. Court of Appeals for the Eighth Circuit. 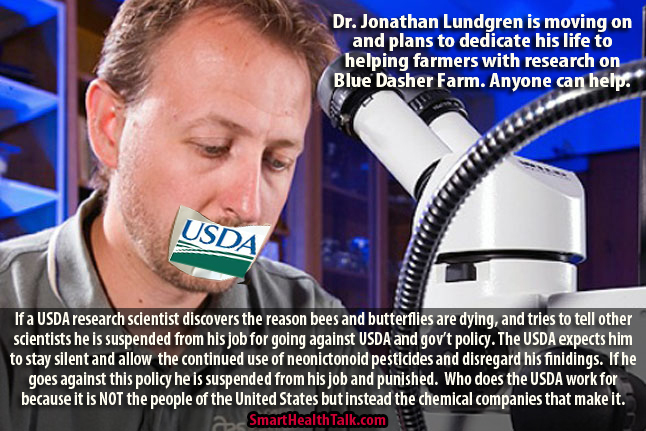 Please listen to our interview with Dr. Jonathan Lundgren about his suspension as a USDA scientist that was suspended from his job for exposing the truth about pesticide toxicity and going against USDA policy to HIDE the truth instead so chemical companies are not exposed. You can read our transcript of the interview below and watch videos of his new project that will exclude government and big corporate influence like pesticide, chemical, and GMO seed makers to help farmers produce food without pesticides that will have more nutrition and not pollute our land, air, water, workers, and kill all types of predators that help farmers such as bees, soil microorganisms and fungi, butterflies, birds, fish, beneficial insects, bats, worms, and dragonflies. At the same time we are supporting a safe food supply for the future. Dr. Jonathan Lundgren and Smart Health Talk Radio Show host Elaine McFadden talked on his experience at the USDA and what he looks forward to in the future. Here are some of the highlights. According to Dr. Lundgren the current philosophy is that a good bug is a dead bug. There are 3,500 species of insects that are pests, and insects have killed more soldiers than bullets or bombs. The other side of the bug world is that there are 1700 insects that are helping us. Insects serve many purposes besides helping to keep a balance on the farm or in the garden by eliminating pests, helping to improve soil fertility, and being food for wildlife. Without them we could not hunt, fish, or have wildlife to enjoy. Beneficial insects are nature’s insecticide and herbicide. We need a biodiversity such as that found in soil biology. There are trillions of soil microbes. Insects are part of the food web and complex communities in soil and on a farm that are connected to everything. The problems happen when you to start to pluck things out of the web and the reason it collapses. Right now agro eco systems occupies 30% of land on the planet and in the United States. Dr. Lundgren sees the answers in regenerative agriculture because sustaining a degraded resource is not going to get us anywhere. 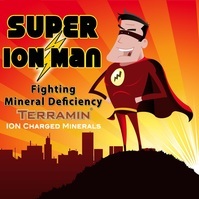 Soil requires certain nutrients to be productive. Tilling cause loss of top organic matter, it then erodes and blows away. The most important process is one that can grow more soil and organic matter. We need to stop tilling soil which is driving a tractor over it to break up soil. Right now the goal is to get into field earlier and dry out earlier. In the process the biology in the soil is killed. When we plant a mono culture, like is what most farmers are doing where just a couple of crops compared to thousands of varieties, that is genetically limiting and comes with an expense of losing many other traits. When that happens the first thing reaction is to colonize primary pests, not beneficial insects. There is not a channel to communicate to the farmer. We can start with a baseline knowledge of pre industrial practices and then apply what we have learned with new applied ecology and understand the processes even better. We can’t till, need to integrate animals, perennial and annual plants into the way we farm. Never leave the soil bare. Understand what needs to happen, but adapt systems to work in different parts of the country. We philosophically and conceptually know what needs to happen, but need go past the constraints so we can adapt a system using the tools that are available and integrate biodiversity, more moisture and reduce tillage. Farmers need multiple revenue streams, so if crops go haywire they have backups. Farmers don’t put all eggs in one basket but agriculturally that is what we are doing right now with 5% of the land area just corn. There used to be thousands of plant species. Right now the approach to maintain the system is to add fertilizer input and use pesticides, GMOs fungicides, and herbicides. Dr. Lundgren warns that the oil and gas crisis is nothing compared to phosphorus crisis that will happen in next couple decades. We will run out of phosphorus and then what are we going to do for fertilizer? Sad thing is most of phosphorus is not even used by the plant because it is not bioavailable to them so just runs off in the water and creates other problems. The plant needs microbes and can then use phosphorus already in the soil but instead we kill off the microbes. When soil is bare and and without living plant material there is no way for energy from sun to get into the soil. Soil blows away and runs away especially when rains. Plants are the skin of the soil and help retain water and life. lnsects and microbes work together. 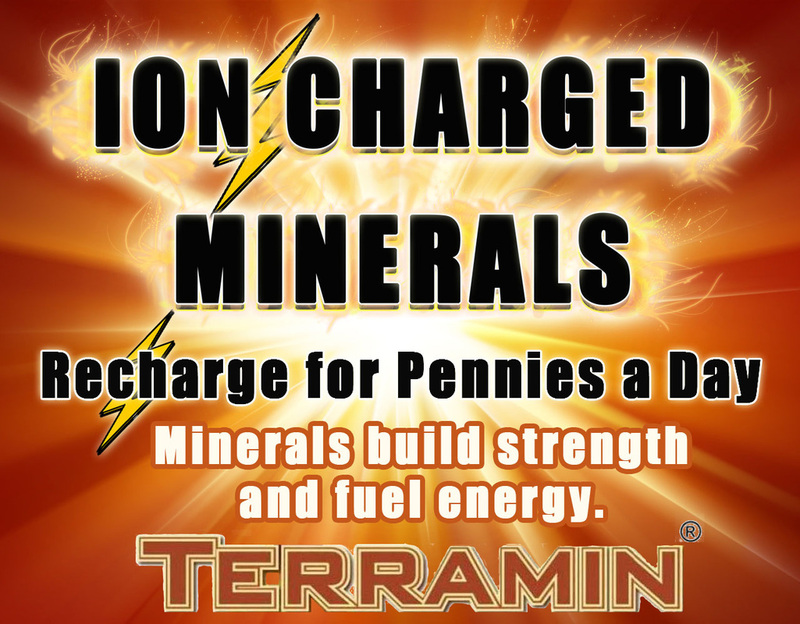 Top soil that blows away is money blowing away. That happens when there is tillage and disturbing soil. If you walk around 4 acres of a sunflower field you've walked across microbes that are equivalent to more people than on the face of the earth. Dr. Lundgren found in college he loved entomology. He believes scientists need to be philosophers before they become researchers driven by a belief system since scientists use that belief system to shape which questions we are asking. We allow the data to determine if we are correct or wrong and in turn that allows us to gather information in trying to seek the truth. There will be two aspects of his proposed research program. First develop sustainable solutions for food production and pest management based on biology. Second conduct a risk assessment to understand the implications of pesticides for the environment and non target species that can fall by the wayside as collateral damage. Risk assessment for GMO crops and safety of pesticide use like neonicotinoid seed treatment which is nicotine based insecticide coating found on most of all crop seeds. Right now 13% of land surface of our country is planted with coated seed. The purpose of coating the seed with the neonicotinoid is for the developing plant to take the insecticide up so that it is defended from herbivory. That might happen early on but as the plant develops the insecticide starts to dissipate from the plant. 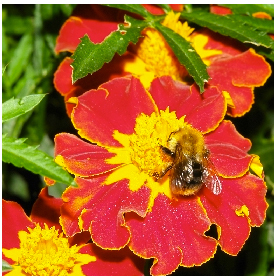 The insecticide level is supposed to be at low level when the plant is flowering but what is insidious is that only 2%-20% is taken up by the crop plant so other 80-98% of chemical is left in the soil. This insecticidal runoff is why we are finding toxic neonicotinoids in our waterways and untreated plants like milkweed plants that is the only food for Monarch butterflies. We are finding the insecticide on organic farms too so when plant conservation strips that never seen insecticidal seed treatment are being made, they are turning up hot for neonicotinoids. Right now we don’t understand fully how its getting into the environment, just know it is. "The ecological pathway is supposed to be just on the seed but actually getting in everywhere else in the environment. Neurotoxins effects the nervous system of insects. One treated seed is enough to kill a sage grouse which is like a small pheasant so we now see pheasant decline. Also farmland birds are in decline and are seeing studies that show strong correlations that these neonicotinoids on coated seeds are directly related. Also finding in deer livers. The insecticide is not staying put. What's disturbing if farmers DON'T to use need this and is NOT improving yields or controlling pests within their fields." The neonecotinoids are found on soybeans, sunflower, and corn seeds. Farmers are being charged $10-$15/acre for their use but they are not improving profitability. One farmer in Kansas listened to my advise that he didn't need to put the seed treatment on his crop. He reported back that he did have more army worms but his beans did real good and saved him $10,000 by abandoning the use of the seed treatment. Dr. Lundgren started talking to farmers and other people and they are starting to listen and then the press was getting interested, something the USDA did not like or want. The big problems started when Dr. Lundgren tried to publish his study. He went through all the approval process was accepted. He also got lots of interest from the press because they saw the significance of his work but the USDA was not pleased with that and started to slap him around with suspensions. The felt the research was not convenient and should not be publicized. The action of the USDA to hide this from other scientists and the public in Dr. Lundgren's opinion was "Subverting the scientific process is a big problem. The analogies being we are limiting the freedom of speech by telling people they can’t talk about it which is part of the scientific process. The study was very strong and done correctly, but even if not wasn’t you publish these things, it undergoes peer reviewed process and other scientists can weight in if rigorous or not. If these ideas are questionable someone else can use the research as a baseline for conducting additional work to prove or disprove under different circumstances whether or not this was an accurate perception. When we stop it from even reaching the publication process like this ….how can we move forward as a society if our scientists are not allowed to discuss things such as the critical aspects of the work just because it is politically disfavored. The dialog that happens, the give and take creates growth and is a very healthy thing from a scientific perspective. We need to allow that to happen for our federal scientists so that's why I blew the whistle and said what is going on within the USDA and this is not OK and why an official complaint was filed with the merit systems protection board and the help of the Public Employees for Environmental Responsibility (PEER). Dr. Lundgren said he believed it was because of the help of the PEER group he was able to keep his job. Dr. Lundgren explained we could instead be getting into cellulose based ethanol production which is more of a system that recycles what we are already producing. He took that concept to an economist friend to question the validity. Together they did some economic modeling to understand how we got into this situation where we are inventing a lot of food production dollars into a very limited amount of crops especially corn. The data was very strong that our policies were influencing that model and driving a corn dominated agricultural system and ethanol having unintended consequences on our environment, grain markets, and farm profitability. Dr. Lundgren said, "The USDA made me take my name off that paper and I couldn’t be a part of it because that may question USDA policy. If science is being done right every single paper should be questioning policies or have policy implications." Sugar is a huge GMO crop with almost 100% of sugar beets GMO. It has put the sugar cane out of business with the last sugar can plantation in Hawaii just going under. You may think conventional sugar cane is desirable but Dr. Lundgren said that If people could see what they do to produce sugarcane in Columbia they wouldn’t want it. Sugarcane can actually have nutritional value and not be such a bad thing. It is more about the way that it is produced with heavy duty pesticides and Roundup sprayed on the crop right before harvest to speed the plants drying process for easier removal from the fields. 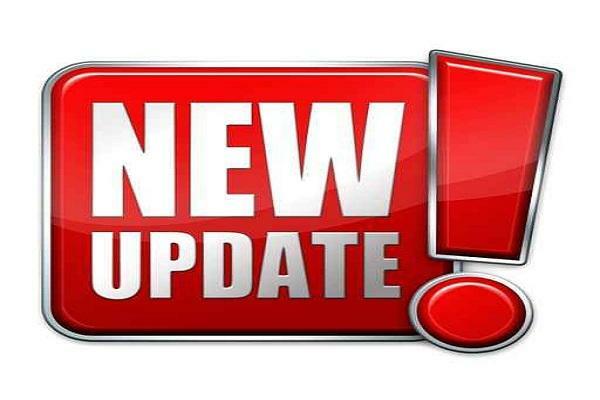 That Roundup has extra chemicals that ensure that it is soaked into the plant so spraying right before harvest is adding to the pesticide load of that product, and the World Health Organization has declared Roundup to be "probably cancer causing." The alternative is Roundup saturated, GMO sugar beets which is used in most products now. What consumers should be buying is organic sugar no doubt about it! That brings us back to the wisdom of Dr. Lundgren who has had a chance to see the reality and big picture of how the whole agriculture system is set up right now. Basically to poison us and the environment, cause a rise in diseases across the board and put a huge burden on our healthcare system while at the same time making drug companies, dialysis centers, hospitals, and makers of technical equipment used to treat disease rich. Our government has been bought off by these corporations, and it is only through consumer demand and more citizen action to stop it together we a better way of producing our crops where we are not dependent on these corporations and their products can we break free. That is why we were thrilled to hear Dr. Lundgren tell us he has a plan for a better way of producing our food that uses the regenerative agriculture model and plans to dedicate the rest of his life to making it happen. He is going to make my dream come true of having more food that is produced to be healthier with more nutritional density and using methods that are safe for the environment . Dr. Lundgren believes that it should actually be farmers leading the science. When we allow the science to come from universities or goverrnent departments that can be influenced by big corporations to use products that they profit from science can is used as a hindrance for the innovation of agriculture. He believes as a scientist if we instead reproduce what is being done on a farm then the data will not be able to be used by policy makers and will be able to see an innovation food production. One example where policy is blocking food production innovation is in panhandle of Nebraska. We know that integrating the use of cover crops to increase soil fertility and soil microorganisms that will also pull carbon from the air and reduce the threat of climate change and the need for expensive artificial fertilizers made from natural gas, sewage sludge, and factory farm excrement laden with antibiotic resistant bacteria we can create a farm that also uses less water, saves and creates new topsoil which Dr. Lundgren said is equal to money, and will produce healthier plants that will be less vulnerable to disease and dying. In other words crop loss. Insurance companies don't see all those benefits and instead threaten the farmer and tell them they will not have insurance coverage if grow cover crops. Not sure if that is insanity, stupidity, or a diabolical plot to hurt Americans and farmers for greed and financial benefit because of some other underhanded deal they have with our government that would of course involve taxpayer dollars going to them. Farmers see the benefits and Dr. Lungren reports that they are still using the cover crops no matter what the insurance companies are threatening to do to them because of it. What is the disconnect? Dr. Lungren believes we need a transformational change from the ground up and has a plan how to do that. He will start by establishing a network of research demonstration farms to show scientists and farmers how we can use regenerative methods. To that will be added cutting edge science to bridge gap between farmer and scientist. He believes scientists should spend more time on the farm and less in a laboratory working on finding better and better ways of growing food packed with nutrition, but grown without the need for chemical, outside minerals that have to be pulled from the earth and transported to the farm, and real compost for fertilizer, not fertilizer made from natural gas pumped from under the ground that is basically wasted when applied to fields because contain much more nitrogen than is needed by the plant and then ends up in our waterways to feed algae blooms and create dead zones where nothing can live. Right now there are dead zones off several states including Maryland that is know for its crab and seafood. Laws that were in place to stop the use of these natural gas fertilizers but also the widespread use of chicken manure from factory farms where chickens are raised in horrific conditions, fed antibiotics, arsenic, GMOs with pesticides, and hormones. The state is set to loose billions of dollars in revenue from the seafood and will cost thousands of jobs. The system is broken and is a system of death, mutilation, and pain. Dr. Lundgren wants to train a new generation of farmers and scientists that focus on system of regenerating our soil, environment, and our health and eliminates practices that should not ever have been allowed to happen in the first place. With his methods Dr. Lundgren says we can heal the soil and the bee problem will go away. We can do it privately outside of the government and corporate influence, and in doing so we can fulfill our responsibility to legacy we leave behind for our children and our children's children. Here is what inspired the name of Blue Dasher Farm! The documentary "Vanishing of the Bees" has been documenting much of what Dr. Lundgren has been saying for several years and backs up what he is trying to tell us. After talking to farmers, bee keepers, and experts they also came to conclusions that we need to stop farming using toxic pesticides, abandoning the diversity of thousands of different kinds of crops on our farms to grow only a handful of GMO corn, soy, cotton and sugar beet crops, and go back to integrating farm animals and grazing methods that work with our farmlands instead on sticking all our animals on factory farms. Bottom line we are doing multiple things wrong, and can change to a better system that is good for all including bees, farmers, animals, and consumers. Director of Vanishing of the Bees Documentary a must see. Click picture for farmers markets near you. 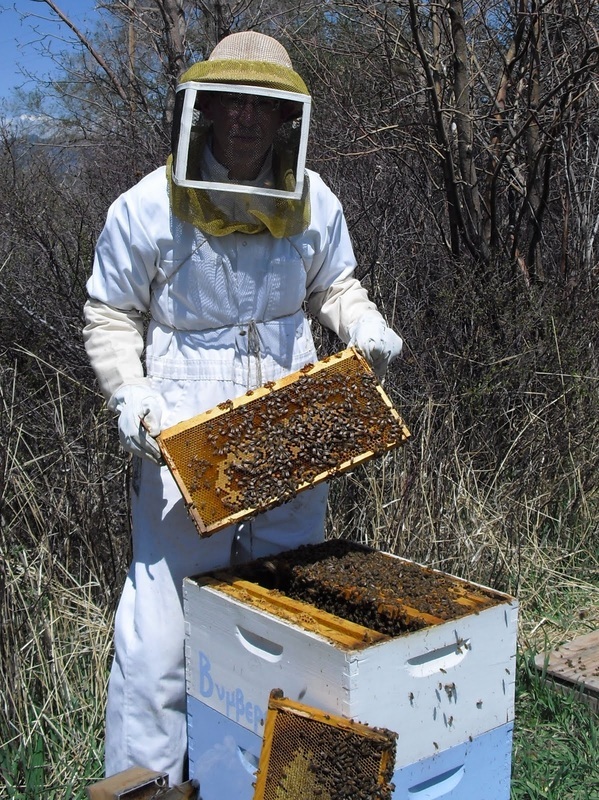 Honey Colony includes concerned experts who provide education on bees decline worldwide. Honey Colony is a resource you can trust and needs our support. Click the bee to go to Honey Colony. Vanishing Bees Directors George Langworthy and Maryam Henein. Directors Maryam Henein and George Langworthy responded to a phenomenon where honeybees have been mysteriously disappearing across the planet, literally vanishing from their hives. Find out more about the documentary and how it impacts you and your family. Click picture to go to Vanishing of the Bees. 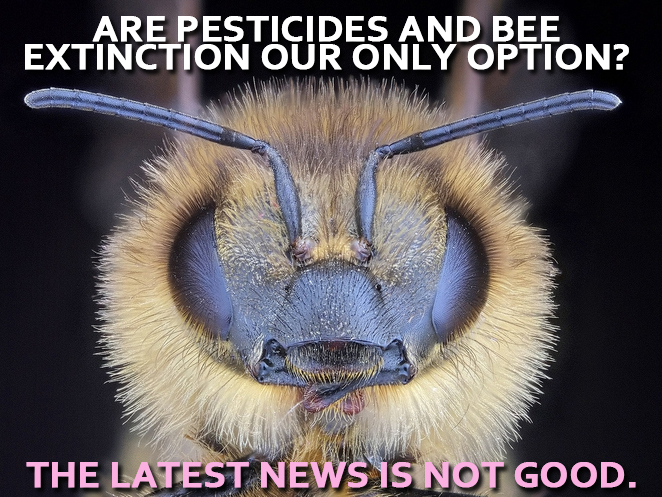 VISIT OUR OTHER WEBPAGE WHERE WE HAVE MORE VIDEO FROM THE DOCUMENTARY VANISHING OF THE BEES AND WHY OUR BEES ARE BECOMING EXTINCT IF WE DON'T ACT NOW. Watch the trailer for "Vanishing Bees." 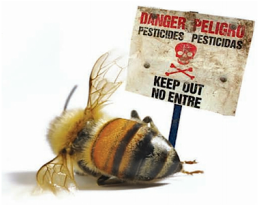 Watch these video to see how pesticides are killing off millions of bees and how that could impact farmers and us as consumers. Bees have babies too. Our pesticides are killing them. Bees are dying. Find out why. Click the picture to go to information. Click picture to go to farmers resources. Beekeepers are being hit hard with massive bee losses.